Perfect for those days when you need a super-potent green juice with no sugar, but plenty of nutrition. 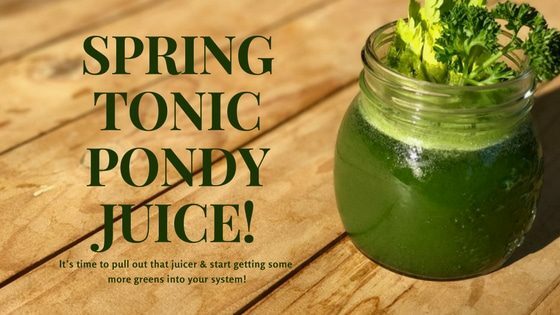 An ideal brew if you’re detoxing, a diabetic, have insulin resistance, or are dealing with a yeast / candida overgrowth after antibiotics…or you just wanna look & feel awesome for spring! Run everything through the juicer (except the PondWater powder). Pour juice over ice into a shaker bottle, add PondWater powder & shake until dissolved. I really hope you enjoy the simplicity !